This plugin allows for conitnuous step count using the built-in pedometer sensor API's of iOS and Android devices. To use this plugin, add flutter_pedometer as a dependency in your pubspec.yaml file. 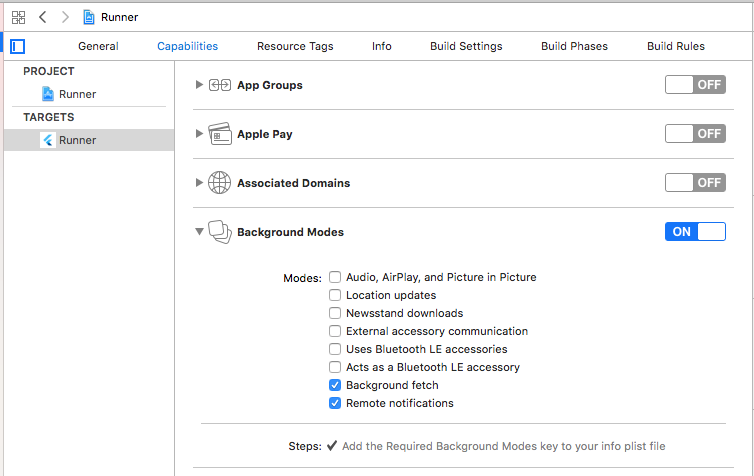 It seems that users of this plug-in will have to manually open XCode and configure a few settings manually, mostly pertaining to privacy settings and permissions due to the application collecting the user's movement data. For usage on Android it seems there are no problems with permissions. Could not build the precompiled application for the device. Error launching application on Thomas’s iPhone. Run flutter format to format lib/flutter_pedometer.dart. At the time of the analysis the homepage field https://github.com/cph-cachet/flutter_pedometer was unreachable. A pedometer plugin for retrieving the steps taken today. Works for both iOS and Android and is written in Swift/Java.